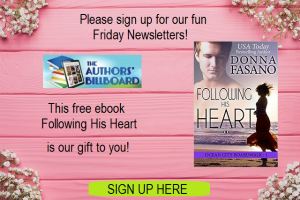 The Authors’ Billboard Newsletter is sent out to our growing list of subscribers every Friday. Books must be Free, $0.99, sale books and New Release. To be considered a “New Release” your book must have been published within the last 30 days. New Releases can be any price as they are not promoted as “on sale”. Please add the links to the following retailers at which your book is listed on. We encourage you to sign up to our newsletter so that you can see what your submission looks like when the note is sent out.